The IDG-4500-M-G-CL is an ultra-high resolution Scientific-CMOS (sCMOS) camera equipped with a CameraLink interface. With the CameraLink interface, it will achieve 7fps CameraLink Medium and 10fps CameraLink Full interface. Because it uses global shutter, it has the advantage on detecting moving object such as FPD detection, semi-conductor inspection and industrial imaging. 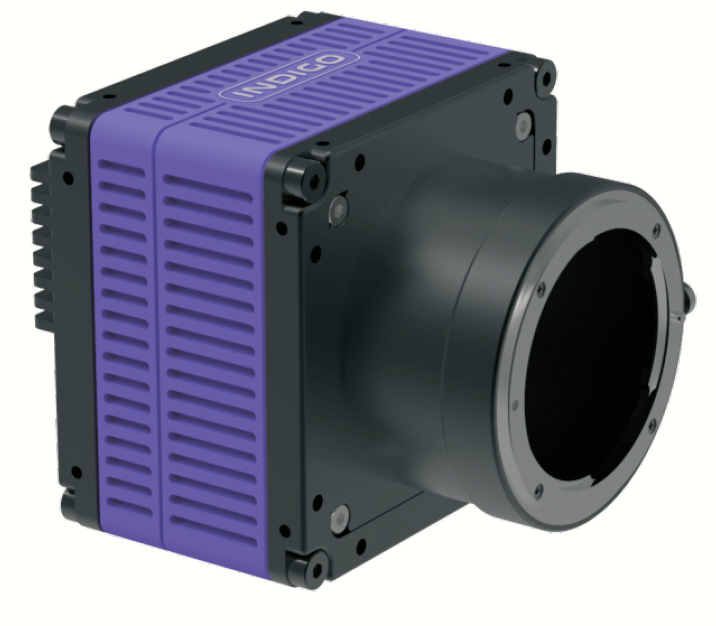 The Indigo Imaging IDG-4500 is one of the most advanced industrial cameras available. The new 43 megapixel imaging sensor (GPIXEL GMAX0806) is the highest sCMOS camera sensor available. sCMOS means "Scientific-CMOS", which characteristics are very low read noise, low dark current, and very good images. The global shutter provides excellent stopping power for moving objects and avoiding motion blur. The industry standard CameraLink interface allows up to 10 FPS and is GenIcam compatible. The camera Dynamic Range is 68.3 db and there is a Wide Dynamic Range mode where the darkest shadows and the brightest areas both can be imaged with 78 db. The camera is available with either an f-mount or an M58 thread mount. Size is 80 mm x 80 mm x 107 mm with a weight of 650g. The camera has IO capability with RS-232 interface for applications requiring lens control. This sCMOS camera is well suited for the following industrial applications: flat panel display inspection, microscopy, semi conductor wafer inspection, astronomy and life sciences. Vision Systems Technology is a North American authorized distributor of Indigo Imaging digital cameras. Scientific CMOS, or sCMOS, is a breakthrough technology based on next-generation CMOS Image Sensor (CIS) design and fabrication techniques. sCMOS is poised for widespread recognition as a true scientific grade CIS, capable of out-performing most scientific imaging devices on the market today. This is a result of an advanced set of performance features that render it absolutely ideal to high fidelity, quantitative scientific measurement. sCMOS technology stands alone in its ability to simultaneously deliver on many key performance parameters, overcoming the 'trade-offs' that are inherent to current scientific imaging technology standards, and eradicating the performance drawbacks that have traditionally been associated with conventional CMOS sensors. Ideal for the following applications: Document Digitizing, Film Scanning, Flat Panel Inspection, Industrial Vision Systems, Intelligence, Surveillance, Reconnaissance (ISR) and Wafer Inspection.